Introducing authoress Brittni Brinn! I am a happy to share this interview with her – with you! And share information about Brittni’s upcoming book launch – because it’s something to celebrate! “When most of the world inexplicably disappears overnight, only small patches of civilization remain. Brittni Brinn was born Brittni Ann Carey in Winnipeg, Manitoba. She studied English and Drama at Concordia University College of Alberta (now Concordia University of Edmonton) before moving to Windsor, Ontario for graduate studies. She received her M.A. of Creative Writing in 2015. She co-hosted Hardcover: A Literary Podcast for two years and writes plays for Paper-Knife Theatre. Besides books, her interests include coffee, songwriting, and cyborgs. Now that you are connected with her book and a bit about who she is…let’s dive into our chat! VS: You’ve done it! – you’ve written a novel from start to finish! Congratulations! It’s a hard task – can you tell us about when you got the idea for your novel – and when how long it took you to write it? 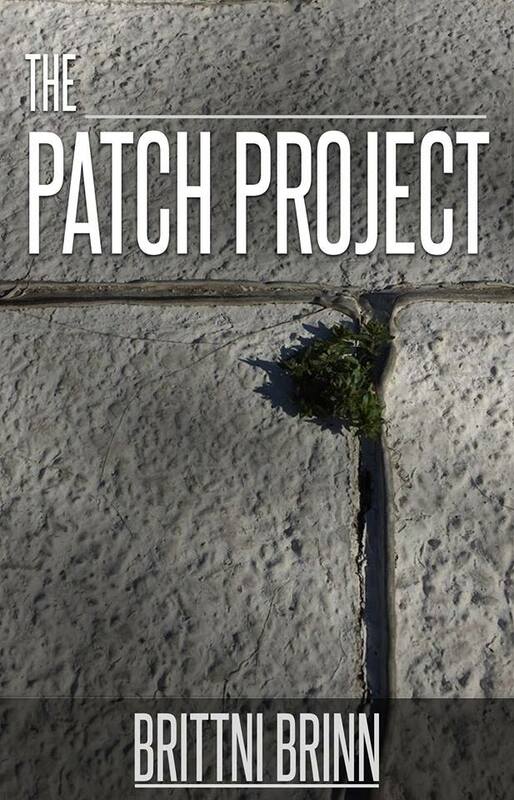 The book is: The Patch Project: An introspective story about survival, identity, and memory, The Patch Project explores the need for connection and purpose in a sterile post-apocalyptic world. BB: Thanks! It was a long process writing the novel, spanning many years. The Patch Project started out as a short story I wrote for a workshop in undergrad. I submitted it to an editing panel at a writer’s conference, and was encouraged to continue the story. I spent the next 8 months writing the book – I was living in Edmonton at the time, so that’d be around 2012. After the book was rejected by a major publisher, I shelved it for a while. It wasn’t until fall 2016 that I pulled it out again and did a major edit of the thing. Then, EDGE Science Fiction and Fantasy Publishing picked it up, and here we are. VS: Tell us about your editing and revising process. how many drafts did you write? did you send it out to another ‘set of eyes’ (an editor/friend/betareader)? VS: How did you find your way to Windsor? You were born in Winnipeg…then studied English and Drama at Concordia in Alberta…and ended up in Windsor for your graduate studies in Creative Writing at the University of Windsor? BB: Great question! We moved to Calgary from Winnipeg when I was 8, not really my choice, but it was an interesting place to grow up! Moving to Edmonton was a grand adventure, and I made a lot of deep connections there. But I got restless, maybe I was used to moving by then. A friend of mine had taken Creative Writing at UWindsor, so I thought why not do a Masters degree (though it took many sleepless nights and existential angst to arrive at that thought)? So, with very little furniture and a lot of ideas, I moved out here! VS: Did you write your novel as part of your thesis for your MA? Or did you write it simultaneously? Whatever the case – can you share a bit about the physical writing process – did you write at home in your jammies or at school in an office? The Patch Project was written mostly before my MA in two key Edmonton locations: the Starbucks I worked at and my attic bedroom in what was fondly known as the Yellow Door House. I had this animation desk I had been given by a friend, and would sit on this incredibly uncomfortable wooden chair, which was the only one high enough to sit level with the desk, and transpose the sections from my notebooks onto my computer. 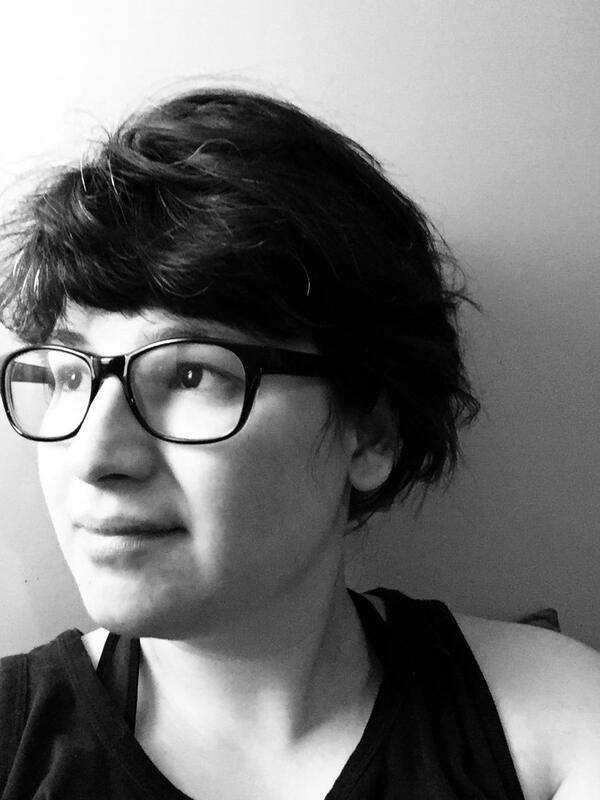 VS: Since moving to Windsor, you’ve become a part of the creative family, co-hosting a literary podcast ‘Hardcover‘, and writing plays/performing with Paper-Knife Theatre – how has immersing yourself in creative endeavours – different than writing a novel! – affect your creative writing output? BB: I love the Windsor scene! Although I tend to be an introverted person, I can’t create in a vacuum. Theatre and talking about the craft with writers and artists – it enriches my life, gives me other views to think about, builds enthusiasm for my own work. I think Windsor has really helped me open up about my writing – before, I was quite private about it. VS: Tell us a bit about EDGE publishing and this process. BB: EDGE Science Fiction and Fantasy Publishing has been a wonderful publisher to work with. I’m still learning a lot about marketing and promoting my novel, especially as it’s currently only available for pre-order in a digital format. I’m looking forward to the print release so I can hold a copy of it in my hands. I think then it’ll feel real. VS: Any plans for a second novel? If so – do share! BB: Yes! I’m working on a couple. One’s a novel exploring my interest in memory and identity performance, the other is a sequel to The Patch Project. I really should pick one to focus on, but I tend to move back and forth between projects I’m working on – gives me a break if one gets too stuck. VS: Are you planning on remaining in Windsor? What are your ‘work’ plans? BB: For a while, at least. Peter and I eventually want to move out east, but it’ll be a few years before we can start making solid plans. I’m hoping to stay long enough to finish another novel and work on a couple more plays with Paper-Knife Theatre. VS: How are you defining ‘success’ now that you’ve got an MA and your first novel is published? BB: Success is an interesting word. I feel like this point is a huge milestone for me: I’ve wanted to be an author since I was in elementary school. I think more than being successful, I would like to continue writing and growing as a person. If readers like what I’m writing, and if I continue to find joy in what I’m writing, that’s success enough in that sphere, I think. VS: If you could walk the riverfront with any author living or dead, who would it be? And what would want to talk about? BB: I’ve recently rediscovered Madeleine L’Engle (she wrote the ‘A Wrinkle in Time trilogy) and realized how much her books influenced my early adolescence. I resonate with a lot of her themes and her wonderful interest in science. I think a walk with her, talking about space-time and the flow of the universe would be very lovely indeed. Congratulations Brittni! Continue writing, growing and publishing!